There’s something to be said for nostalgia. To this day, the opening music on the title screen of Ocarina of Time sends chills down my spine, and Super Mario Bros. 3 takes me to a magical place in my childhood that I can’t quite describe. But, for all nostalgia’s cracked up to be, take off the rose-tinted spectacles and you’re usually left with something that’s not quite what you remember. Ultra Street Fighter II: The Final Challengers is odd because, at moments, I feel its release on Switch is totally justified – not just as a nostalgic trip, but as its own game – and at others, I can hardly recommend it to anyone. 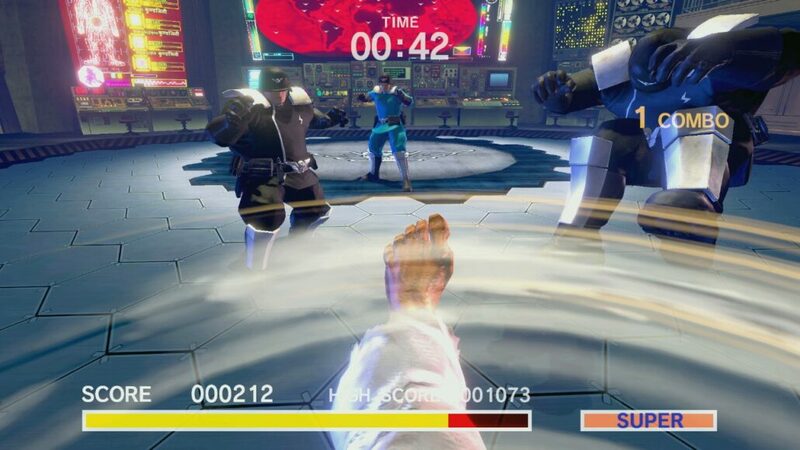 What we have here is essentially Street Fighter II HD Remix, a digital title that launched back in ’08 and ’09, with two new characters and a few extra modes on the Switch. If that’s not the most enticing proposition you’ve ever heard, well, you’re not alone. 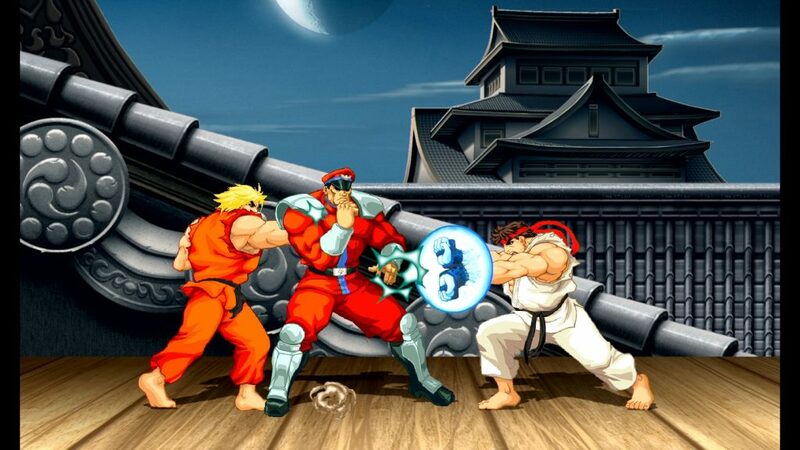 Indeed, justifying purchasing yet another version of a title older than many young gamers today isn’t exactly a simple task, but in some ways, USF2 succeeds. I didn’t know I wanted a handheld Street Fighter to bash away at arcade mode with until I had this one. On the toilet, in the living room, in the passenger seat of a car, all these places I can just pull the Switch out and start comboing tatsumaki into shoryuken – and then, should I be with a pal and we take a sit down, we can play each other, wherever we are. The freedom to play when and where you want isn’t just a novelty with Switch, but it feels instead like an essential part of every game. And the online play is, mostly, great too. Some matches can lag, and you’ll feel your inputs barely come out, but once you’ve found a match with a stable connection it’s brilliant fun, the kind that gets my addictive tendencies acting up, making me play for hours at a time – well, all the way up until a laggy match happens. Ultra Street Fighter II: The Final Challengers is, ultimately, Street Fighter II but online and with new characters, and it’s hard to argue with that. Violent Ken is a fun addition, as is Evil Ryu – the two speedy demons end up being two of the strongest and fastest in the game, giving shoto fans something new to play with. But not everything is quite that peachy in Ultra Street Fighter II, because as good as the base game is, it doesn’t justify the price. So of course, Capcom added more modes. The Way of The Hado is… Bad. Really, really bad. Using your JoyCon as fists you can imitate hadoukens, shoryukens and tatsumaki special moves to perform them on the screen against a line-up of foes. And it’s just, awful. I performed moves exactly, but tatsumakis kept turning into hadoukens. And skoryukens turned into hadoukens. And sometimes hadoukens turned into shoryukens… To say that these are the parts of motion controls no one misses is a vast understatement. This mode isn’t even worth playing once for the novelty. You can also play Buddy Battle, where you and a pal can share a health bar and go up against a single opponent… And much like the ability to Palette Swap your characters, it feels like a needless addition. It really does feel like modes and features were added to Ultra Street Fighter II: The Final Challengers just for the sake of it, in a (failed) attempt to justify a high physical game price tag. And that’s the problem. 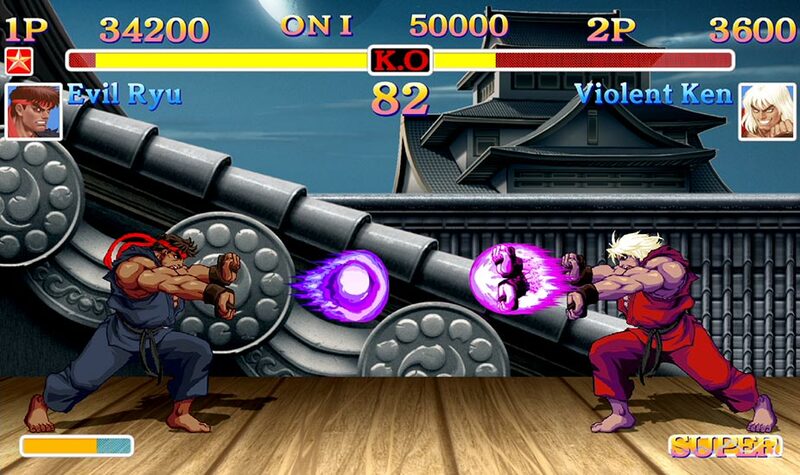 Evil Ryu and Violent Ken might be fun additions, and Street Fighter fans like myself will relish the opportunity to take what might be the definitive version of SF2 on the go, but the price just feels unreasonable. At least there are some nice creature comforts – for example, the ability to independently change the style of graphics or music to classic sprites and chiptunes or newer art and higher quality music tracks – nice if, like me, you’re not a fan of the newer art. Ultra Street Fighter II: The Final Challengers is nice for fans of the series, but anyone else might feel ripped off paying full retail price for a game with so little new content. Great for online play, bad for basically everything else.